Students will conduct intensive fieldwork in Lagos, Nigeria during spring break. Lagos is notorious for its ever-expanding population, massive infrastructural challenges, and controversial practices of state-sanctioned land capture. Neighborhoods branded as undesirable slums are razed—their inhabitants violently displaced and economies destroyed—as the region’s ecology is disrupted by the transformation of watery realms into habitable surfaces through landfilling. At the same time, the city is a dense hub of inspiring creativity, hustle, and entrepreneurship. Lagosians have devised ingenious ways of making things happen—often in the absence of functional formal systems, and in the face of outright state hostility. In this course, we will employ analytics and methodologies from urban planning and visual culture studies to investigate how things happen in Lagos. 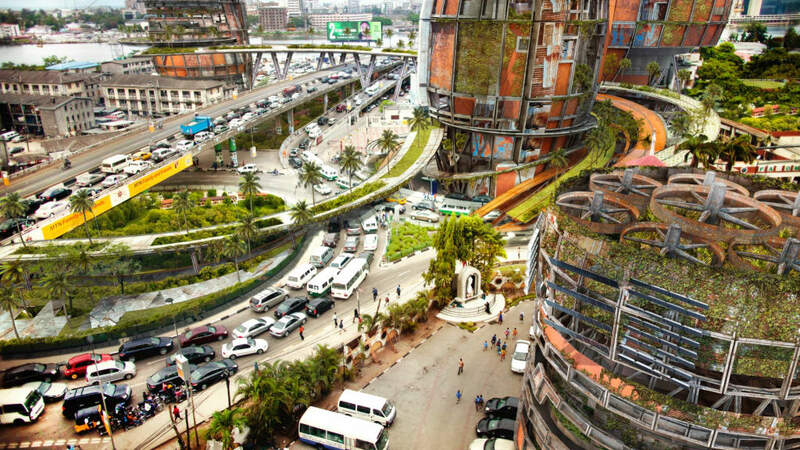 We will pay particular attention to visual representation’s central role in struggles over land and competing visions of the Lagos of the future—visions that impact planning practices and people’s livelihoods in concrete ways. We will travel to Lagos to witness recent investment in public art and the state’s Mega City Project, including green initiatives like Eko Atlantic, an elite development project on a gated man-made island described by critics as eco-gentrification on a grand scale. We will consider these top-down attempts to beautify and rebrand the city alongside the violent displacement of legally-recognized waterfront slum communities. We will partner with community activists to develop interventions that build on local strategies of visual activism as co-production in securing the right to the city. We will also engage with artists and architects who draw from Lagos’ informality, creative transformations of land and material, and palimpsest of ecologies and spiritualities to imagine a future city for all. Fulfills the studio requirement for the Graduate Certificate in Global Urban Humanities. Travel to Lagos will occur around spring break from March 20 - April 2, 2019. Priority enrollment to students pursuing the certificate. Details on the Graduate certificate are here.